17 Seconds: Hello Michael! How are you, where are you and what’s the weather like? 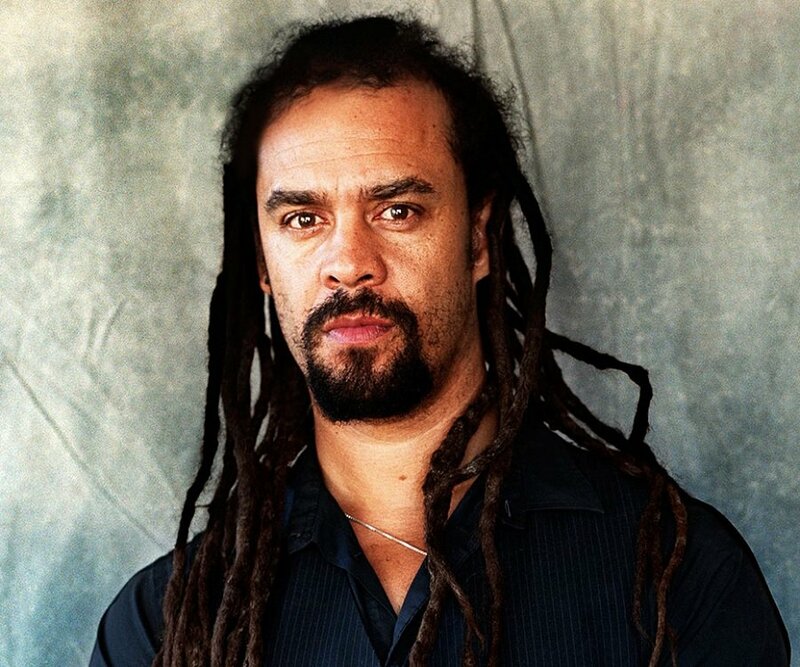 Michael Franti: I’m doing great, I’ve just completed a new film called Stay Human and an album to go along with it called ‘Stay Human Vol.II’. They are both about how we hold onto our humanity in challenging times like the ones we are living in today and my personal battle of optimism over cynicism that I see playing out all over the world today. 17 Seconds: Where are you based these days? MF: My home throughout my adult life has been in the Hunter’s Point neighborhood of San Francisco, where I live with my wife Sara and our four-month-old son, Taj. We also own a boutique yoga hotel in Bali called Soulshine Bali where we live part of the year, I’m passionate about yoga and our hotel puts on over 40 yoga retreats annually and my wife and I lead two music and yoga retreats a year. As a touring musician my home is a tour bus for 6-7 months on the road. 17 Seconds: What are your hopes for the political situation in the US in 2019? MF: I hope that Americans wake up to the fraud that President Trump is and that we either elect someone else in 2020, or that he is unceremoniously removed from office before then. Regardless, he’s already done damage to our nation that will take decades to recover from. That being said, I see this as a wakeup call for everyone in our country – sometimes things need to get super bad in order to wake and shake folks up to become active. Our nation needs to heal the epidemic of gun violence, opioid deaths, racism, sexism, and our dependency on fossil fuels and make real investments into education, healthcare for all and creating an economy that is run on 100% renewable energy. That’s a lot for 2019, but hey we gotta start somewhere. 17 Seconds: Would you ever consider running for political office? MF: No. I’m not someone who believes that a random guy off the street (or in my case a stage) would be better at it than people who know the business of how to get stuff done in government. Experience matters. I’m not gonna ask a plumber to fly me from San Francisco to New York, just because they “think” they might be good at it. That being said I think I’d make a pretty good campaigner, I just feel I can be more productive promoting optimism and issues through music. 17 Seconds: In 1993 you collaborated with William S. Burroughs, what are your memories of working with him? MF: He was a very kind, mysterious man. I’m very proud of that record and the claymation video for The Junky’s Christmas that was made. 17 Seconds: In the UK you first gained attention as part of Disposable Heroes Of Hiphoprisy. What are your thoughts on the project, a quarter of a century on? MF: It was a life changing experience for me to go from being in an aggressive-afro-industrial-punk band like The Beatnigs, to putting out a song like “Television The Drug Of The Nation” with Disposable’s and then being invited to open for U2 in stadiums around the country for 50,000 people every night. Being at those shows and watching U2 do their thing also taught me that melody can be as powerful as lyrics and that anger wasn’t necessarily my super power. 17 Seconds: What are your plans for Spearhead (and beyond) for 2019? MF: We are releasing the Stay Human album and film on January 25th and will be touring with them throughout the year. The first single, “The Flower” is all about gun violence. In 2017, there were 39,773 deaths from gun violence in America. That’s way too many. Our goal as always is to inspire optimism, make people dance, appreciate every precious second of life and to stay in the fight to make the world a better place. 17 Seconds: This year marks forty years since ‘Rapper’s Delight’ became the first top forty hip hop record in both the UK and the US. What are your thoughts on the record? MF: I still love it and still own a cassette of it that I recorded off the air when it came out, and yes, I can still recite the entire song word for word. 17 Seconds: Finally, what music are you currently listening to? MF: Victoria Canal, who’s an inspiring artist that was born with one arm and taught herself to play piano. She has the voice of Nora Jones and Alicia Keys and a message of self-empowerment that is so important today. I love almost everything Diplo does and recently dug into Dominic Fike’s Ep, ‘Don’t Forget About Me’. Stay Human II is released on Boo Boo Wax on January 25.